Within a week, Shutterstock's parody video was viewed more than 2 million times. When Netflix and Hulu premiered warring Fyre Festival documentaries during the same week in January, Shutterstock saw an opportunity to mock the music-festival-turned-nightmare’s wildly inaccurate promotional material by creating a promo video of its own. The stock photography and clip provider’s version featured beach-themed photographs and footage (including aquamarine waves and frolicking models), all available for license through its library. 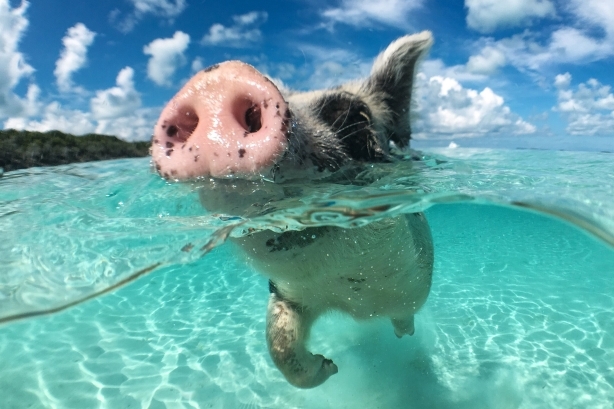 "The festival's creators blew their budget on a promo video with models, yachts, and swimming pigs, leaving the actual festival-goers eating cheese sandwiches in makeshift tents," said Siobhan Aalders, Shutterstock’s VP of communications. "We knew the infamous shoot wasn't even necessary, because you know where else you can find models, yachts, and swimming pigs? On Shutterstock." The goal was to create something "people would want to share," Aalders said, and which illustrated "what you can do with stock footage." Shutterstock had to move quickly to be timely. With the help of New York City-based agency DiMassimo Goldstein, Shutterstock produced a 30-second spot, titled "Be On Fyre," within 24 hours. The company published its video on January 29. Shutterstock’s internal PR team handled media outreach and promoted the video on social media. "The strategy was to quickly reach out to key publications to make them aware of the content that we had created," Aalders said, which meant focusing on media, advertising, and marketing outlets. The press coverage helped drive conversation on social, but Shutterstock primarily relied on its own channels, including Facebook, YouTube, Twitter, Instagram, and LinkedIn, to get word out about the video. "[We] have a big social presence and our customers and creators were also sharing it," Aalders said. After the first couple of days, the company boosted the campaign with a "small amount of paid media." #FyreFestival? You don't need to hire models and exotic pigs to create buzz for your next festival, all you need is Shutterstock. It’s not stock, #ItsShutterstock. From conception to launch, the campaign took just a few days. "We had to do it quickly and while the story was being talked about," said Aalders. The video received over two million views in the first week. It also created a wave of press coverage from publications across the globe, including the Wall Street Journal, Vanity Fair France, and Conde Nast Traveller in India. Because it fell around the Super Bowl, the campaign also benefited from the corresponding media focus on advertising. "While we didn't spend a single advertising dollar with the Super Bowl, we still found comments like ‘Shutterstock wins the Super Bowl’ all over the Internet," Aalders said. The campaign achieved its goal of making people realize that stock images and footage can be used to create well-produced, expensive looking content, she said. All assets in the clip were licensed for $2,100. It also reinforced the company’s understanding of what leads to "viral" content. While there is no formula, Aalders said, "this campaign really demonstrated the strength of joining a timely conversation at the right time."